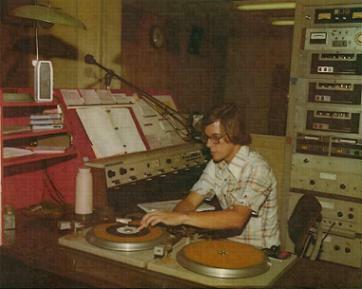 JJ started his radio career as a board op at WQLN, then moved to WWFM to play Beautiful Music, all from 1974-'75. His K104 days were plenty. A total of thirteen years ('75-'89) were spent on evenings, mornings, middays, Music Director, and Assistant Program Director. JJ is currenly the Production Director for Regent Broadcasting of Erie.